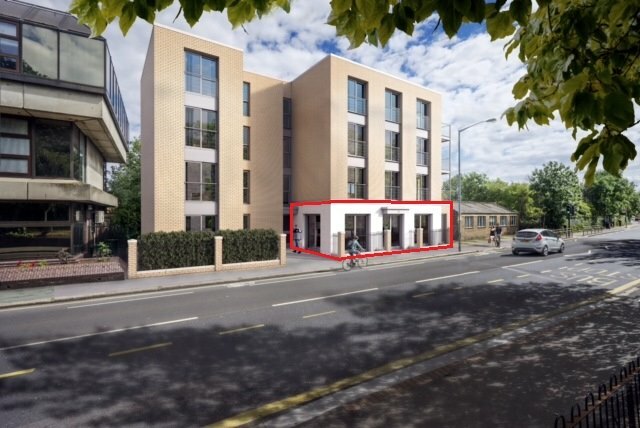 The property will comprise a self contained ground floor office unit occupying part of the ground floor of a brand new 4 storey building currently under construction. The remainder of the building will comprise 7 flats. 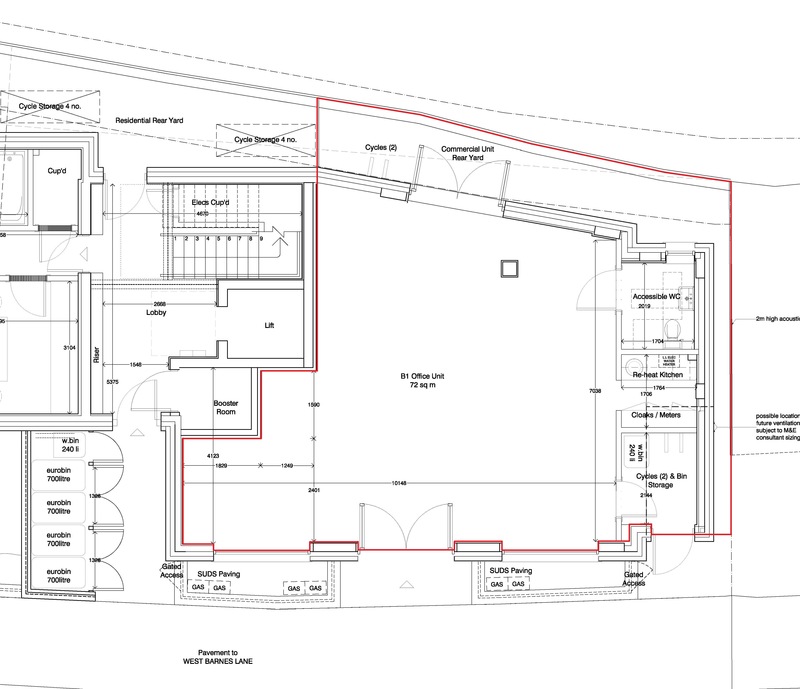 The office unit will be mainly open plan with a separate kitchen area and disabled compliant toilet. It will also benefit from air cooling/heating cassette units, a suspended ceiling with recessed LED lighting, full carpeting and perimeter trunking. Practical completion is anticipated by January 2018. 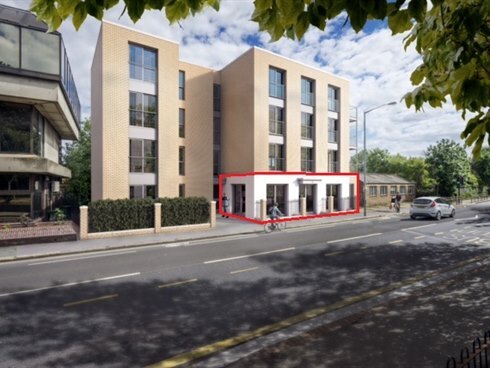 The new building will be prominently located on the B282 West Barnes Lane within 300 yards of Raynes Park town centre and within half a mile of the Shannon Corner junction of the A3 Kingston By-Pass. The mainline station at Raynes Park is within a 5 minute walk offering a fast and frequent service to London Waterloo (approx. 21 minute journey time) via Wimbledon and Clapham Junction. There are excellent shopping and restaurant facilities nearby including a Waitrose supermarket within only 100 yards of the property. For sale on a 999 year long leasehold interest at a pepper corn ground rent. We are advised that the building is not elected for VAT. The unit will need to be assessed for business rates.